Hello friends, Today I will tell you a method on how to sign out of Gmail on Windows PC/Laptop/Android/iPhone. Users can remove all accounts from their Gmail ID. I have shared different methods for the devices. You can use a direct way to remove or signout Gmail ID from Windows PC/Laptop/Android/iPhone or any other devices. Users can ever remove Gmail account directly from their device. In this article, I have shown you the best method to know that how to sign out of Gmail on your Android/iPhone phone. Also, using the below guide, you can even get to know that how to sign out of Gmail on Windows PC/Laptop. Till now you were using your Gmail account without singing out. But, after reading the entire guide, you will be able to sign out of Gmail account on various devices such as Android, iPhone, Windows PC, and as well as Gmail app too. However, staying sign into your Gmail account may cause issues for you. Thus, it becomes essential to you that you must sign out of your Gmail account either you are using Android, iPhone or Windows PC. Fortunately, it will be good for you that you make a habit of singing out of your Gmail account. 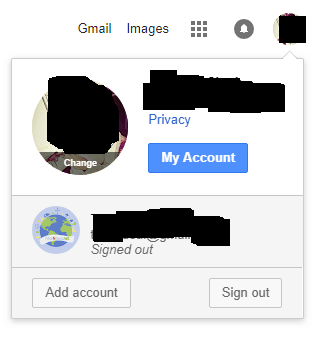 So, let’s start the guide to know how to sign out of Gmail account. If you are an iPhone user and want to know that how to sign out of Gmail. Many of the iPhone users use Gmail account. But, they cant use PC/Laptop to sign in t their Gmail account every time. Thus, they install a Gmail app so that they can use it to access their Gmail account in their iPhone mobile phone. Well, what about an iPhone user who doesn’t know that how to sign out of Gmail? Don’t worry today he/she can quickly get to know a fantastic method to do so. Open Gmail App on your iPhone smartphone. Now, click on the Menu option. Tap on your account, i.e. your email address. Lastly, click Edit then click Remove. Nowadays, Android smartphones are very much popular as compare to other smartphones on the market. The best thing about Android is that it let their user customise their Android phone in every manner. All the Android phone users use Gmail account to access Google Play store, Google photos, Gmail app, and other Google app’s services. But, some of us don’t know that how to sign out of Gmail. So, if you are also an Android user and don’t know that how to sign out of Gmail. Let me tell you that your problem is going to be solved today, right here. Open Settings on your Android smartphone. Now, click on Accounts section. Now, select your account using your Gmail ID. Lastly, click on More icon and then click Remove Account option. In the world of technology, every single person uses Windows PC. Ther is no doubt that Windows PC is very much popular as compare to Macbooks or other PCs. Well, the main reason behind Windows popularity is Windows does not stop their piracy and let the people get used too of the Windows OS. Now, if we talk about Gmail account, then there is the majority of the people who use Gmail account on Windows PC/Laptop. But, the point is that they don’t know that how to sign out of Gmail. They always keep singing into their Gmail account in their Windows PC/Laptop. Henceforth, from now onwards they will not do so, and they can now be able to sign out of their Gmail account on their Windows PC. Let’s check it out that how it can be done on a Windows PC. Go to your Gmail Account on your Windows PC/Laptop’s browser. Then, from the top right side, click on your profile picture. Lastly, click on Sign out button to sign out from your Gmail account on your Windows PC/Laptop. If you are an Android user and don’t want to go to your Setting to remove your Gmail account. Then, let me tell you an amazing and simple method to know that how to remove Gmail account from Gmail app directly. Yes, you can do so. If you don’t believe me, then you have to check this out method. However, if you are using one or more Gmail account on your phone, then you can also do so. Don’t worry about that. You only have to do is that open your Gmail app on your Android mobile phone and follow the below guide, nothing else. Open Gmail app on your Android phone. Now, click on Menu icon and then click Settings. Then, click on Three dots and then click Manage Accounts. Now, click on Google and then select your Gmail ID from there. At last, click on Three dots and then click Remove Account. Suppose if you have used your colleague’s computer or phone to sign in to your Gmail account then you want to sing out from anywhere else. Then, you can do it very quickly. This method is very much useful if you have signed into your Gmail account on various devices such as Android phone, Windows PC, Mac, and others. Google offers a simple technique by using it a user can easily sing out of all the signed in devices. All this procedure is straightforward and only need one click to sign out of all devices mobiles/PCs. Let us check the tweak do to so. Sign in to your Gmail account using a desktop browser. Then, click on Last account activity on the bottom of the page. Now, a new window will pop up. Click on the sign out all other web sessions. We have learned that how to sign out of Gmail account from Android, iPhone and Windows PC/Laptop. Also, we have the technique to sign out of Gmail account from all the devices we have singed in in one click. Moreover, we have also got an idea that how we can remove a Gmail id from Gmail app directly from our Android phone. I hope using this article you are now successfully able to sign out of Gmail account. Share this fantastic guide with your friends also and tell them about this fantastic guide so that they can also learn that how to sign out of Gmail account on Android, iPhone, and Windows PC. Something went wrong. Try Again! 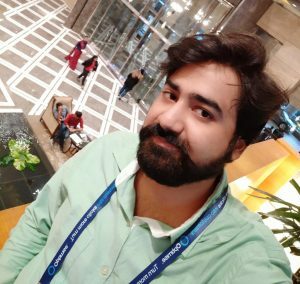 Crazy Tech Tricks is a Tech Tricks website where geeky people will be introduced to articles regarding various topics such as How To, Top 10, Android, iOS, Windows, Mac, and more. Subscribe to keep updated. CrazyTechTricks © 2015-2019. All rights reserved. All logos and trademarks belongs to their respective owners.